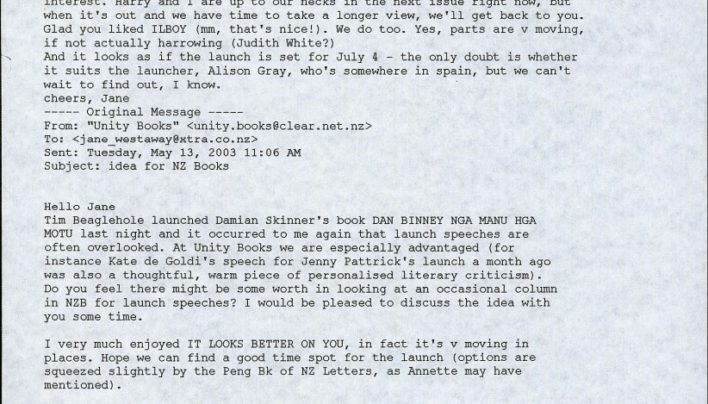 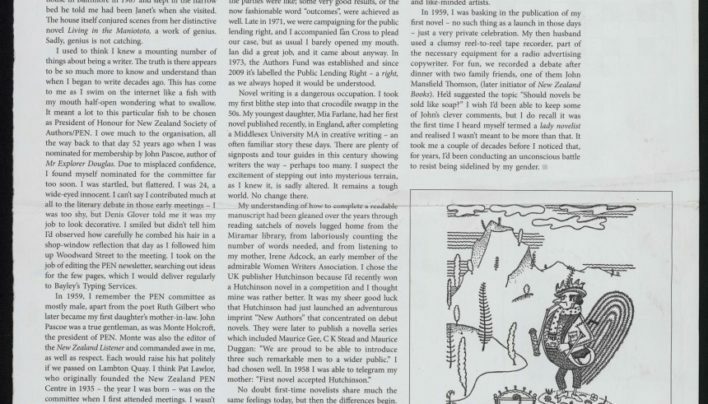 Tilly Lloyd and Jane Westaway discuss the idea of publishing a series of book launch speeches in New Zealand Books. 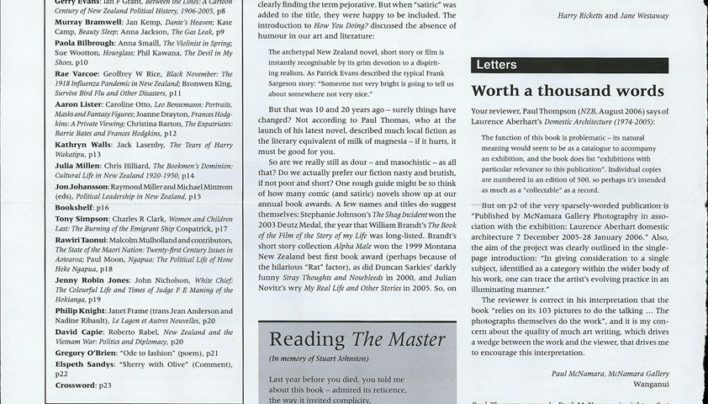 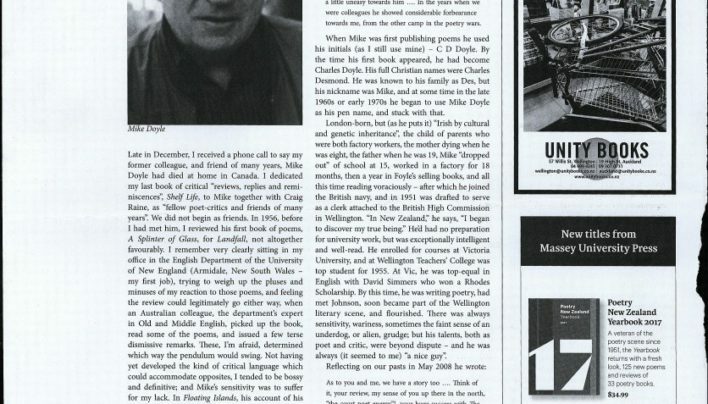 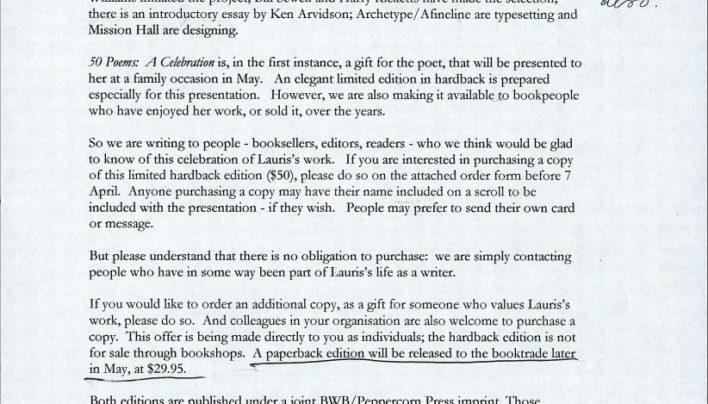 Our advertisement in the October 2006 issue of New Zealand Books draws attention to our status as Winner of the Independent Bookseller of the Year Award. 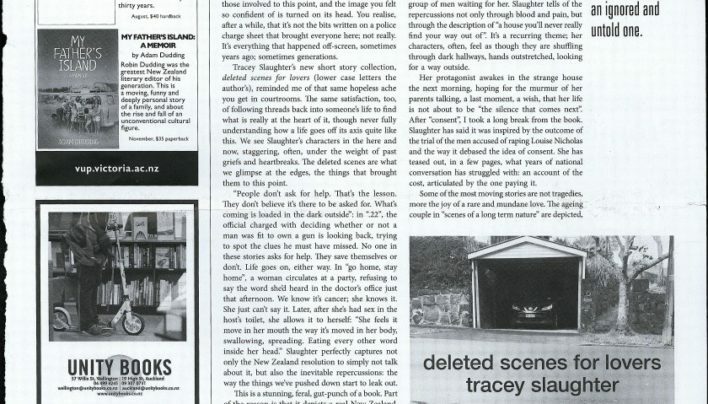 Two bikes hang out by the sale bin in our advertisement in the Winter 2016 issue of New Zealand Books. 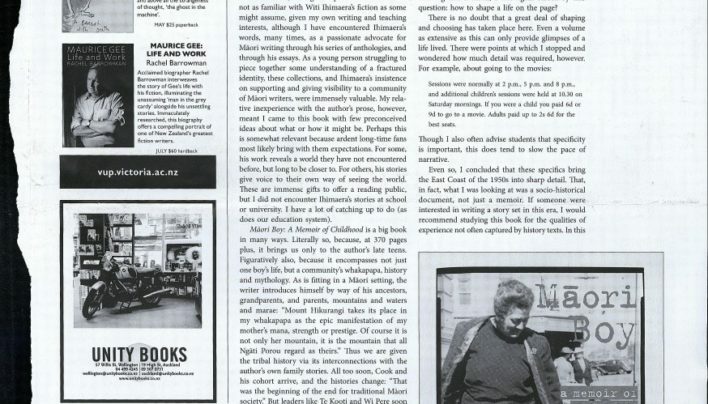 In our advertisement in the Summer 2016 issue of New Zealand Books, John Duke’s bike gets up close to mountaineering books in the back room. 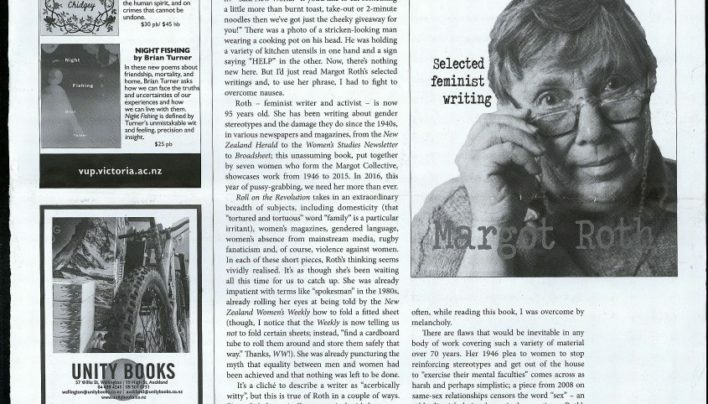 Our advertisement in the Spring 2016 issue of New Zealand Books features a customer’s scooter. 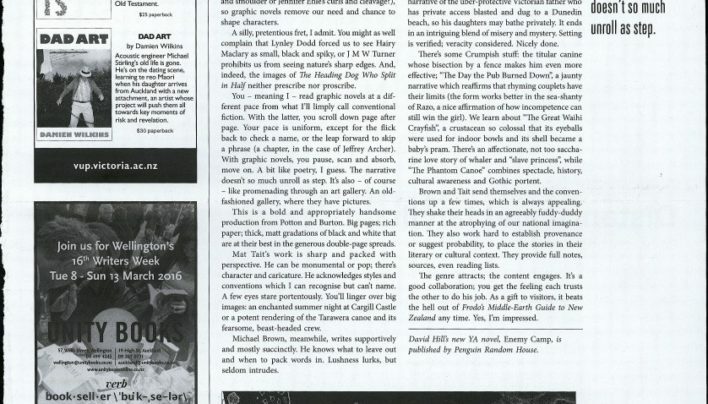 Our advertisement in the Autumn 2016 issue of New Zealand Books features a photograph of the scrum of readers at our previous Writers and Readers Week satellite shop.